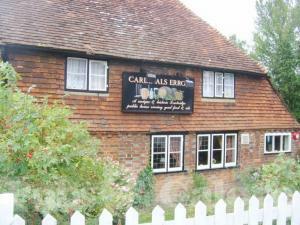 A young farm girl named Nellie who drowned herself in a pond behind The Cardinal's Error some centuries ago is said to haunt the Tonbridge pub today. I can't believe I've never seen this pub. I've lived in Tonbridge for 28 years! Thanks for commenting!!! I don't have a clue who the blog reaches or if it is read so it is always encouraging when comments come through. I can't believe you don't know the pub especially after 28 years in the town. It does have a great ghost story but so does the Vauxhall.